Good dental hygiene is an important part of maintaining healthy teeth & gums and a great looking smile. Brushing and flossing alone will not remove those stubborn stains and calcified deposits. Regular dental hygienist appointments should form part of your dental treatments to help prevent problems that you won’t be able to spot yourself such as the build up of calculus, gingivitis (bleeding gums), gum disease, dental cavities or even mouth cancer. Did you know gum disease is one of the biggest causes of tooth loss? Our dental hygienists at Black Swan Spa have a key role to play in total oral care. They are skilled professionals specifically trained in spotting problems early on, maintaining restorations such as bridges, crowns & fillings, cleaning your teeth & gums to prevent tooth decay and provide ongoing dental hygiene advice. 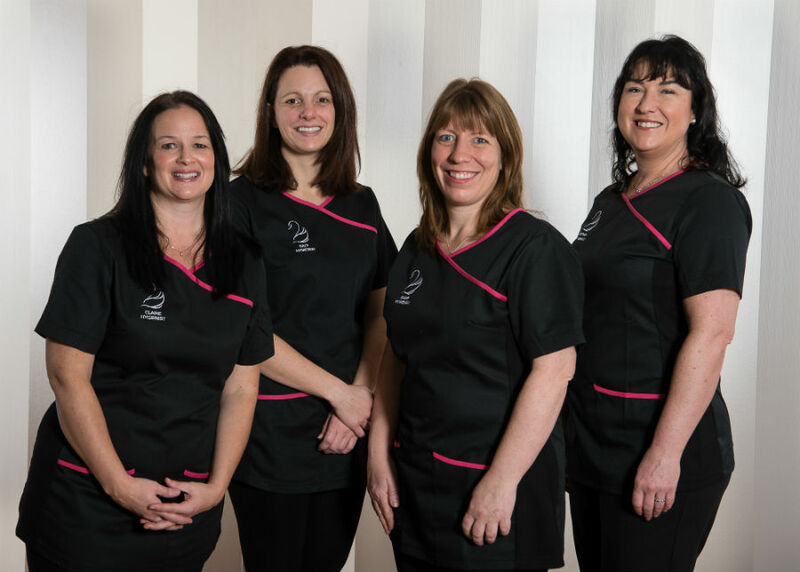 Meet our dental hygienist team. Our dental hygienist will carefully examine and chart your teeth and gums noting any inflammation, swelling, bleeding and the presence of plaque and calculus. Your dental hygienist will then use special tools to remove the build up of plaque and calculus, especially in those areas which you can’t get to using everyday methods. Once this has been removed we then use the latest in “NuPro™” polishing Paste to polish the surface and remove debris. This cleans your teeth thoroughly, removing any superficial stains giving you an instantly whiter smile without bleaching. Finally your dental hygienist will provide you with advice and techniques to enable you to improve your own oral hygiene between hygienist visits and advise you on any special products which may be of benefit to you to maintain great dental hygiene and lovely fresh breath. How long does a hygienist appointment last? How much does a dental hygiene appointment cost? There is no cost to Black Swan Care Plan patients who also receive discounted prices for other work. Normal costs are dependent on the type of service required and length of appointment.